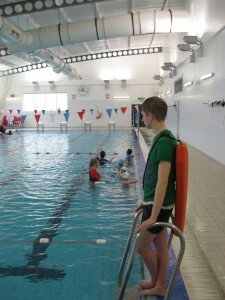 Holders of the STA Level 2 Award in Swimming Teaching can teach up to 10 beginners. They may deliver the STAnley Series of awards and also the Octopus and Goldfish Series of STA’s International Learn to Swim Programme. Holders of the STA Level 2 Award in Swimming Teaching may also act as an assistant swimming teacher and may teach larger classes or advanced skills under the direct supervision of a swimming teacher qualified to certificate level. Holders of the STA Level 2 Certificate in Swimming Teaching can teach, without supervision, pupils of all levels.